As a family-owned and operated company, we have an extensive history in the water field, having worked for a municipal water department for many years with earned degrees and certifications. Our passion is to save people money and to protect our environment. A water leak can be devastating, and can cost thousands of dollars in damage in a relatively short time. Leaks can drain your water utility resources while also draining your bank account. Among a vast range of services, we work with many customers and water leak detection in homes. We will stop at nothing to find the source of your water leak. Rather than risk the value and safety of your home in the Bothell area, call us today for an inspection. 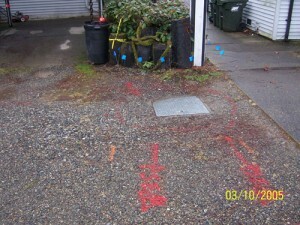 What are the Signs of a Water Leak in Bothell Homes? Most of us have experienced the sound of dripping water or seeing a leak coming from a water heater. Those are the obvious leaks because we can easily see them. Your problem might be the result of small leaks or pinholes in your water pipes, or something as major as an underground main that may require extensive water leak repair. Whether large or small, we encourage you to call us the moment you suspect a leak in and around your Bothell home because leaks do not go away on their own, and will likely get worse with time. 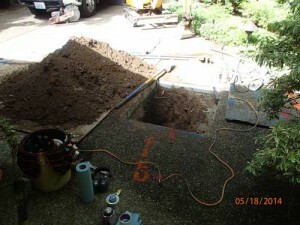 Water leaks occur in both old and new properties in the Bothell area. And they can occur in water pipes for a variety of reasons including the age of the line or construction of waterlines. 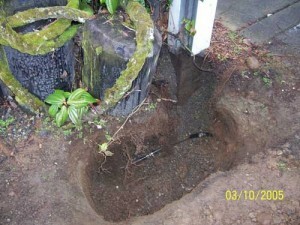 We are able to determine the location of a water leak with a combination of technological methods and experience gained by locating and fixing over 3,000 water line leaks.